When we think about Jammu with a Duggar mind, then Jammu is a place pious and pristine, holy and holistic, simple and sauve. It is consonant with a pluralistic society, welcoming people from all parts of India and offering them best of its delectable cuisines like ‘Rajma-Chawal,’ ‘Umbal- Bhaat,’ ‘Maan-madhara,’ ‘Kaladi-Kulcha’ and Qayoor-Cheenni’, to count a few. 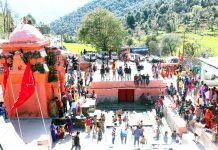 But from a tourist’s mind, Jammu is a gateway to Mata Vaishno Devi Shrine and to the heaven on earth, Kashmir Valley. 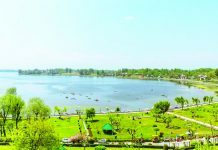 Earlier too, the tourists visiting J&K would sojourn at Jammu for few hours or at the most, a night, heading to catch the evening or night train back to their homes. 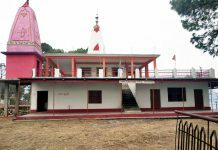 And now, with the shifting of railhead from Jammu to Katra and also the introduction of the low cost air carriers, the pilgrims and tourist prefer to skip the visit to Jammu, which earlier served as a base camp for Mata Vaishno Devi and the Kashmir Valley. There is a dire need to explore the avenues to make Jammu iconic to attract the tourists again. We do take pride in Jammu as being a land where once a tiger and a goat drank water side-by-side in river Tawi without harming each other. 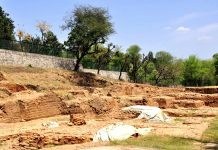 A glance into the faraway history of evolutionary transition of Jammu from 14th Century B.C. 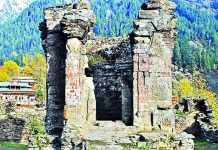 Jambupura, to the Jammu of Dogra Dynasty does provide some historical hallmarks created by the then Dogra Rulers such as Raghunath Temple, Ranbineshwar Temple, Peerkho, Mubarak Mandi, Bahu Fort, Hari Niwas Palace etc., all together capable of placing Jammu at the high architectural platform. After partition, going down the history lane, the state of Jammu and Kashmir came to be part of India after a great turmoil. And the turmoil, sordidly, has never agreed to cease. 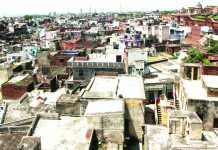 The result was that Jammu pitiably could not push its claim for development as was its due to create some hallmark identifiers as like with the capital cities of other states in India. In the name of development, Jammu had to acquiesce with the construction of roads, bridges, flyovers and concrete structures. Aha! one or two public parks, albeit ! 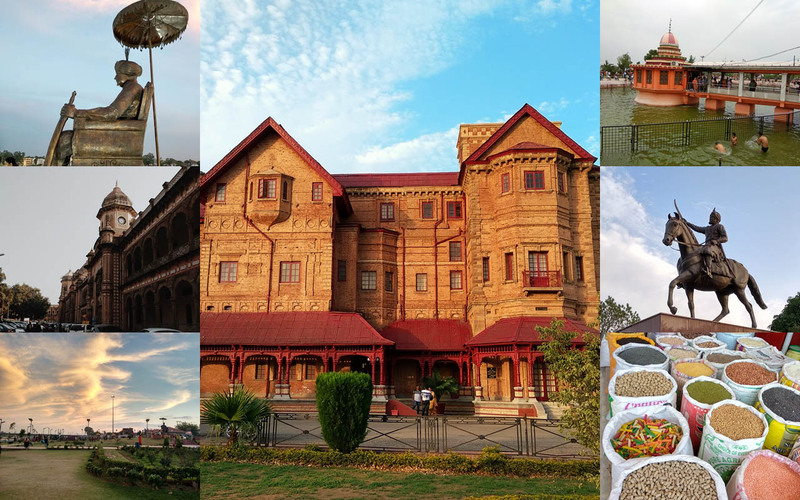 Mubarak Mandi is a precious gift of stupendous heritage to Jammu from the Dogra Rulers. Buland Darwaza (Old Treasury) up the Chowk Chabutra, was a witness to the high footfall of the visitors when the Mubarak Mandi was a very busy area radiating life throughout the day for decades till the shifting of the judicial complex to new location. Mubarak Mandi could have been a potential identifier of the erstwhile Dogra Dynasty had the structural grandeur of the complex been kept up to give it a majestic memorial like Amar Mahal. Alas! All this narrative is marred by a ”Could have been” connotation. And the matter of fact is that Mubarak Mandi is wailing to be saved from being pushed to the pathetic Archeological Oblivion. I recall our teens when we would venture to Tawi to splash around into its wavy stream to enjoy our adolescent adventures and we had to put in quite an effort to cross the wide width of the river always afraid of the deep ‘Dabar’ down the Bahu Fort. Contemporary boat ride (Machhua) to cross the river used to be an enchanting experience. All this, as of now, is the reminiscences of the distant past. While, the Temple Ghat is a welcome step, but for our Suryaputri Tawi, apart from being a quarry and drinking water source, there could have been more adornments to it like erection of tall idols, boating merriments, artificial lake, lighting decoration of at least two of the five bridges. But now, all what we have is that the wide stream of our Suryaputri has shrunken to a to-be-named Nikki Tawi, since all the projects concerning Tawi are in limbo because there is a lack of an, intimate, interactive and inclusive effort. 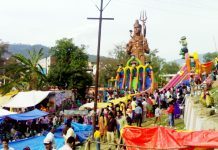 We can take pride that Jammu has a unique distinction of having a hill range on one side and a hill cut city on the other with Tawi flowing in between: all three taperingly flowing down towards the opening of the city welcoming all entrants with open hands. And the Sun in the east following suit showering its blessings on the three prominent entities of Jammu, travelling down its path, in the sky, to set in the west, for the day. Our Jammu desperately needs identifier hallmarks. Let’s begin from the beginning. The other day I was standing at Griffith Observatory in Los Angeles, California, USA enjoying the iconic Hollywood sign at Mount Lee Hills of Santa Monica Mountains. I was overwhelmed, that the visitors to Los Angeles, taking drift from the normal route, flock to the point to have a glimpse of the Hollywood sign. I closed my eyes to make an imprint of the Hollywood sign in my mind. Suddenly my mind traveled back to my native place Jammu and I found myself standing at the Tawi bridge looking towards Bahu Fort Hill overlooking River Tawi. I could envision that the Bahu Fort Hill matches the Mount Lee Hills of Los Angeles in structure and view. Anyone entering or exiting Jammu takes it as a matter of duty to look right or left in obeisance to Bawe Wali Mata housed in Bahu Fort. Tawi bridge, as to its location, serves as a gateway to the city of temples. 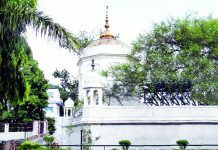 The Bahu Fort Hill can be made iconic further by adorning it with a sign, ’JAMMU TAWI’ in the same mosaic as that with the Hollywood sign, and coincidentally both the signs have nine alphabets. Hollywood sign is 45 feet high and 352 feet long with a wavy look. The ‘JAMMU TAWI’ sign can be of the size and pattern as fits to the size of the point of placement at the Bahu Fort Hill. The structural design can be of the glittering white glossy marble reflecting radiant light during sun as the sun traveling from east to west faces the Bahu Fort Hill. And at night the sign can glow in the LED lights fitted as required. 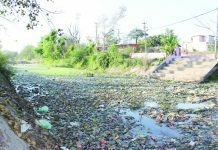 Having done this, a viewpoint can be created at a suitable point either at the circular road overlooking river Tawi or near Maharaja Hari Singh Park at Gulab Singh Road or anywhere else. We have to agree on one point that Jammu city, as far now, has just a few places of tourist attraction which, et. al., don’t merit much to leave a lasting memory on the mind of the tourist. 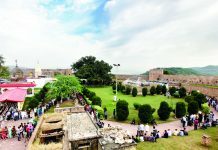 The “Jammu Tawi” sign on the Bahu Fort Hill can serve as a national identifier of the tourist attraction and has fair enough merit to leave an indelible memory on the visitor’s mind in the years to come. 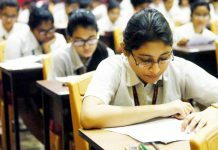 A proposal to this effect stands sent to the Governor J&K, Satya Pal Malik. Let’s see whether it rises at the Bahu Fort Hill or sets down under the bureaucracy. Next articleNational Conference Provincial President Devender Singh Rana lighting ceremonial lamp at annual day function of Mount Litera Zee School on Saturday.